In Asia from long ago, Ki (life energy,also called Chi) is said to be the source of all,and is said to have movement but no form. Ki is constantly circulating in all life.When Ki is flowing well, one is healthy,and when it is not flowing well, one is sick. Our acupuncture treatment aims to cure through treating the places where Ki is not properly flowing, thus increasing one's life force. Headaches, Dizziness, Insomnia, Nervousness, Numbness, Depression. Conjunctivitis, Styes, Watery Eyes, Dry Eye. Nasal/Sinus Congestion, Runny Nose, Middle Ear Infection, Tonsillitis. Back Pain, Neck Cricks, Whiplash,Sprains, Rheumatism, Knee pain, Tendinitis. Menopause, Morning Sickness, PMS, Breech Birth. Diabetes, Motion Sickness, Rashes, Insect Stings, Hemorrhoids, Hay Fever, Cold Hands and Feet, Atopy, Toothaches, Shingles. illness and making the body less susceptible to disease. We use needles as thin as strands of hair. Once a day is best,but every other day or once a week is also effective. We treat infants. Children grow naturally healthy. Treatment to reduce chances of childbirth complications such as breech birth. The sooner you have treatment after the problem first occurs, the sooner the treatment works.Acute medical conditions take longer to treat. To speed the healing process. A void fatique,Get enough sleep. A void spicy food and eat foods that are easily digested. Do not overeat. 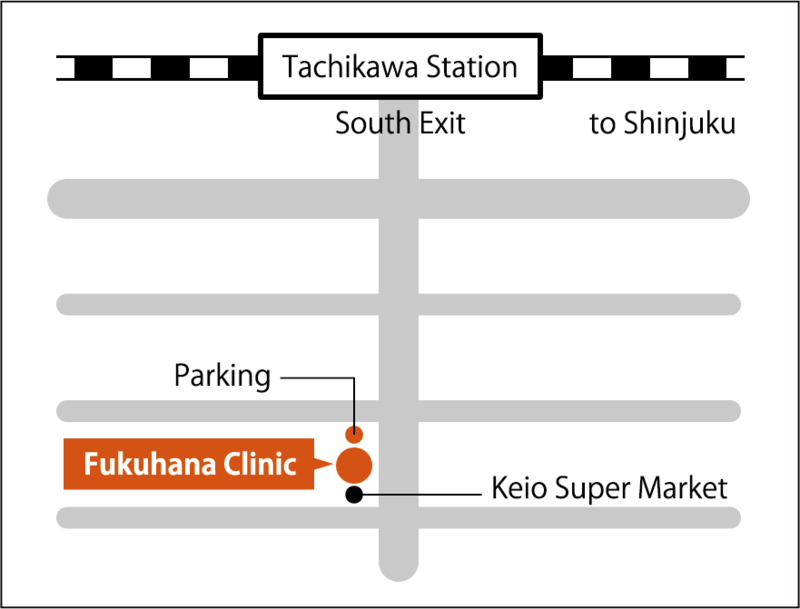 8-minute walk from JR Tachikawa Station.Parking available. Please call us at 042-529-6464 reservations. 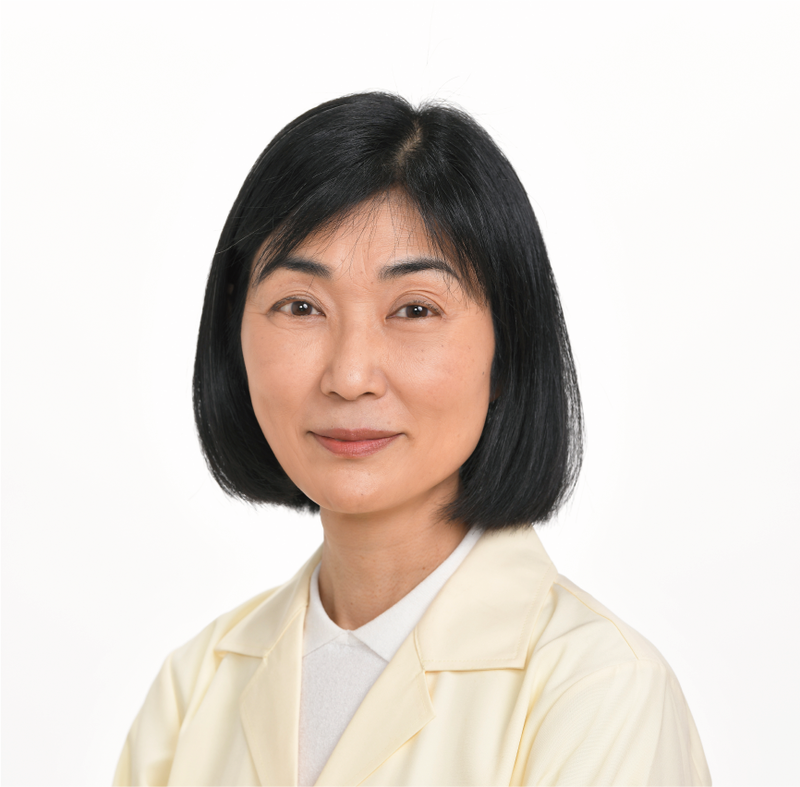 Copyright(C) -2018Fukuhana Clinic.All Rights reserved.